Flying into LA for a long or short stay? In need of Visitor Information? 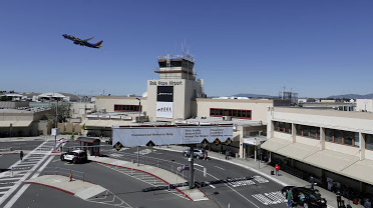 If you staying on the east side, the valley, downtown or North Hollywood , you might consider flying into The Bob Hope International airport in Burbank. It’s a smaller airport but many commercial airliners fly here for commensurate fares. Most visitors arrive at LAX (which is south of Playa Del Rey) and drive 20 minutes north (traffic depending) to popular Venice Beach and Santa Monica. If you’ve never been to a big city, and/or if English is a second language, a good source of visitor information for Los Angeles can be extremely helpful for navigating the sometimes confusing roads as well as finding local landmarks to visit. For the most fun for the time you’ve got in LA, paying attention to traffic patterns is critical. Another great place for Los Angeles visitor information is SoCalPulse’s City Guide. We break down the best restaurants, complete with reviews. You’ll also find a list of the best beaches and what they’re known for. You’ll find a complete museum guide, a list of hotels, and nightlife destinations. Looking for something to do? Whether you’re into sports, the theater or some outdoor recreation, our City Guide has something for everyone. We also provide a complete list of spas if you need some special pampering. We’ve got it all in one convenient location, and it’s all available at the click of a mouse or smartphone icon. We try to simplify your SoCal trips with our visitor’s guides, and there are a multitude of other resources available for Las Angeles California trip planning, and when you are in town, take in one of our many concerts or exhibits. Getting around in Orange County is a breeze, if you know what it is you’re looking for and how to maximize your agenda in any one given area. There are different parts of the county, like Newport Beach, Huntington Beach, Fountain Valley, Anaheim, Costa Mesa, Westminster, and the very popular Laguna Beach. Deciding what you’re looking for on a given day will direct your Orange County visitor information search. For example, if you’re hankering for a beach day, look for activities and venues that won’t take you miles away from the coastline. But don’t rule out areas like Anaheim, that boasts a Country Western Jamboree each year in June.